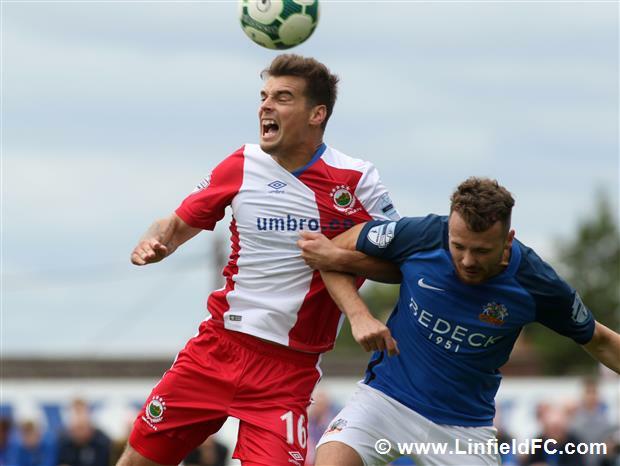 Linfield kicked off the eagerly-awaited 2018/19 season this afternoon with a tough trip to Lurgan to take on Gary Hamilton’s Glenavon. 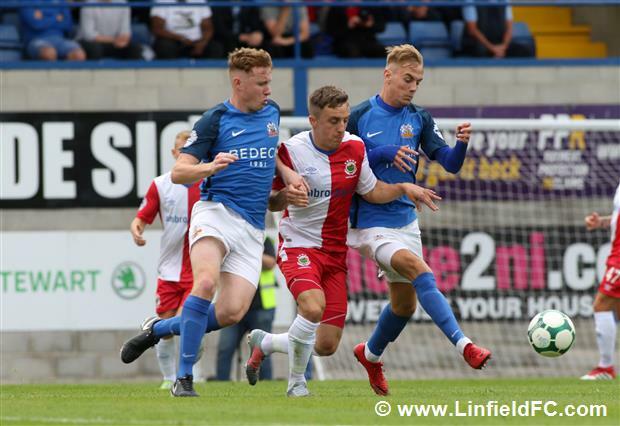 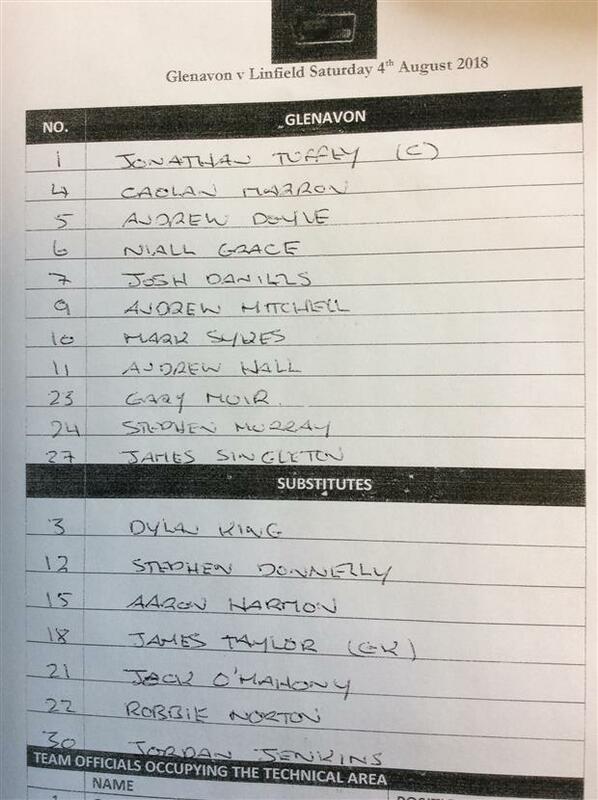 The Blues strengthened majorly over the summer with ten players coming into the Club, a few of whom made their competitive debuts at Mourneview in a hard fought 1-0 victory as debutant Daniel Kearns struck the winner. 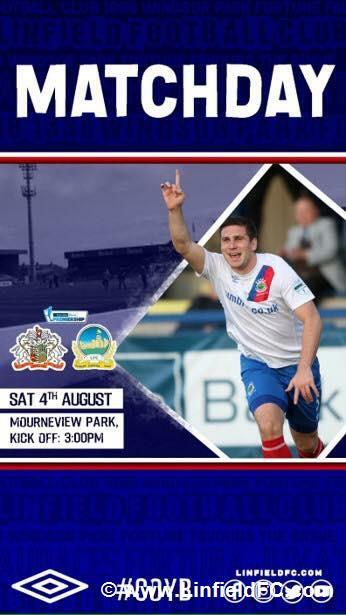 Manager David Healy was without a host of players, however, as Robert Garrett, Mark Stafford and inspirational captain Jamie Mulgrew all sat out with suspensions carried over from last season, whilst Cameron Stewart, Ryan Strain, Lorcan Forde, Ryan McGivern, Ryan Strain and Mark Haughey all missed out through injury. 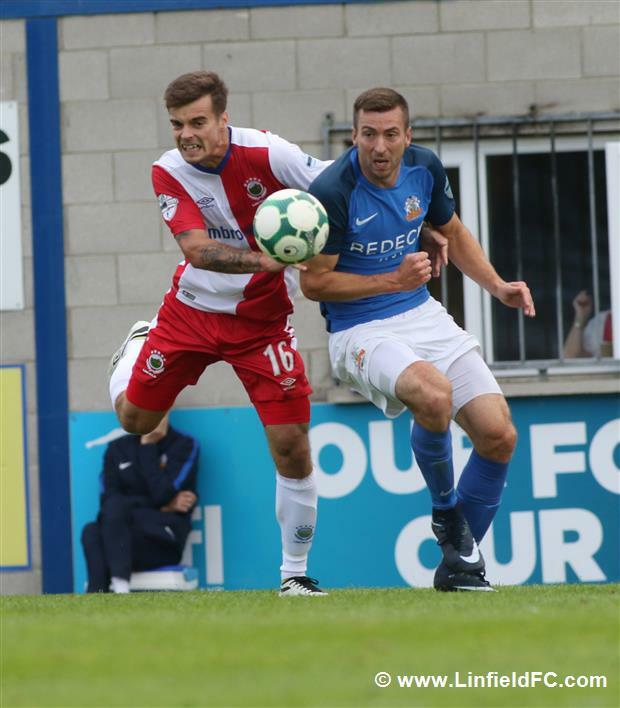 The Blues started the match brightly and it took less than two minutes before Glenavon ‘keeper Jonny Tuffey was called into action. 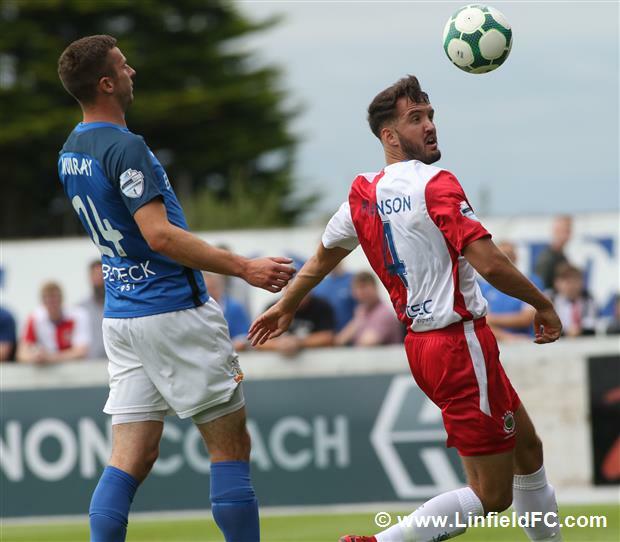 He got down well to clutch Andy Waterworth’s low strike after the striker showed good skill and pace to race beyond Andrew Doyle. 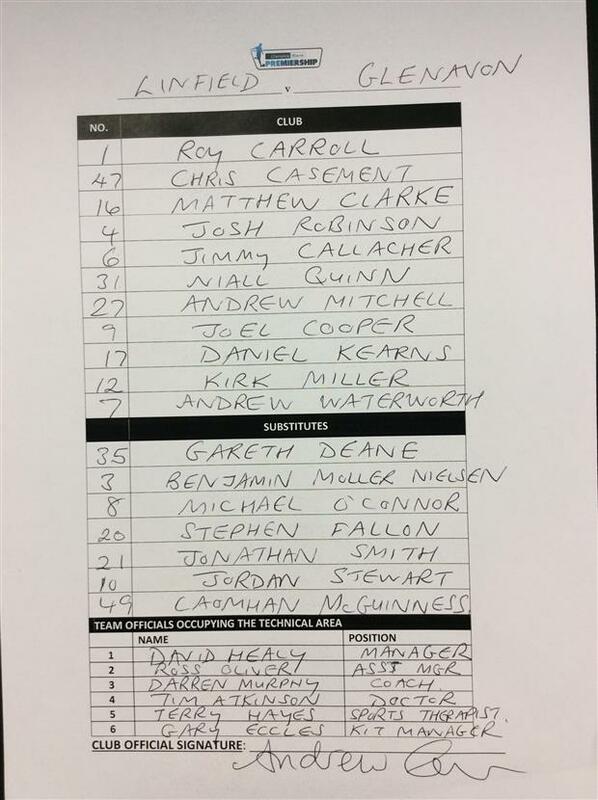 A moment later, Niall Quinn curled a 20 yard free-kick just wide. 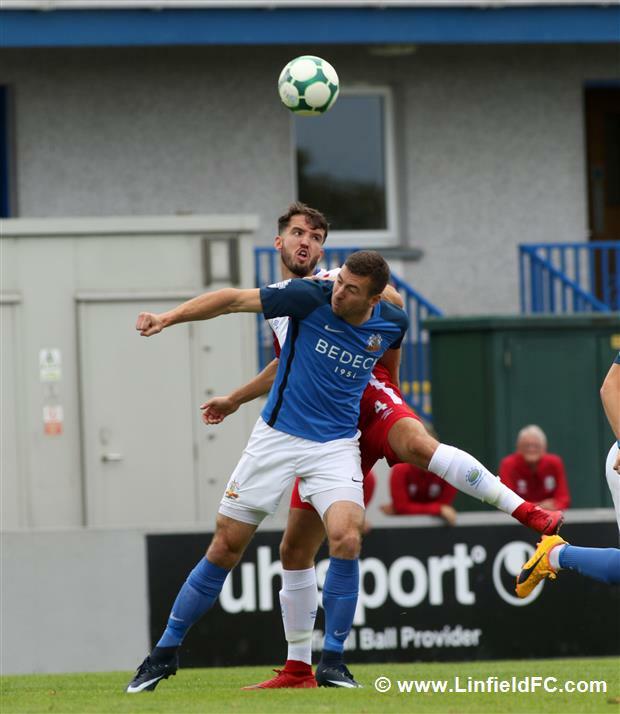 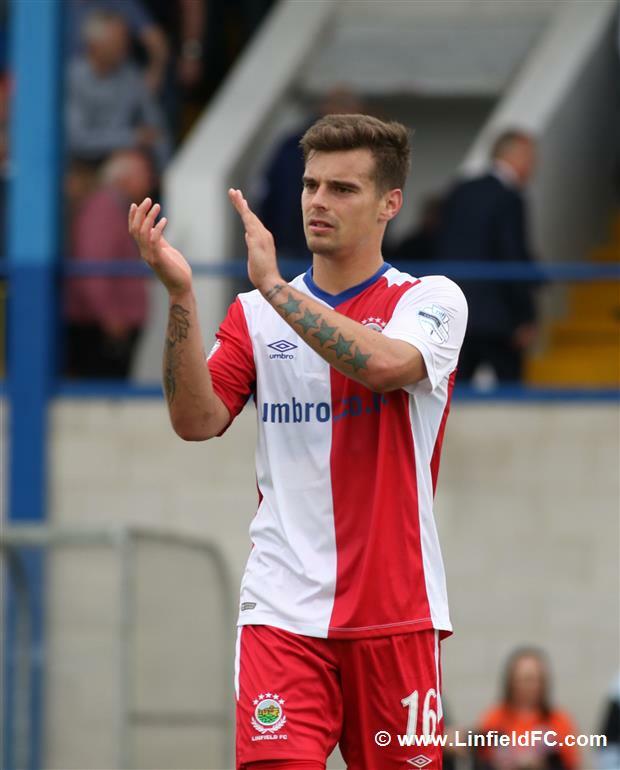 It was Glenavon who had the biggest opportunity early on, however, when they were awarded a penalty after five minutes when Murray’s volley was blocked by Chris Casement, but the referee adjudged it to have came off the defender’s arm. 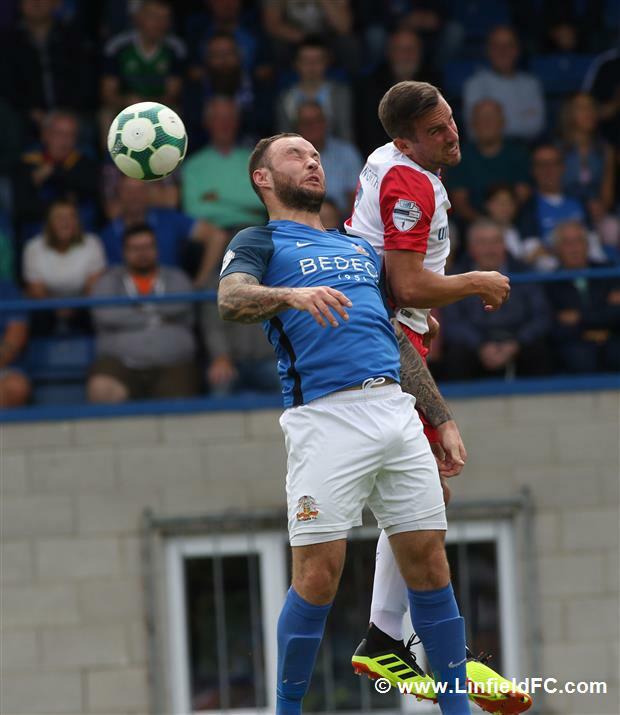 Glenavon striker Andrew Mitchell stepped up but he blazed a rash penalty well over the crossbar. 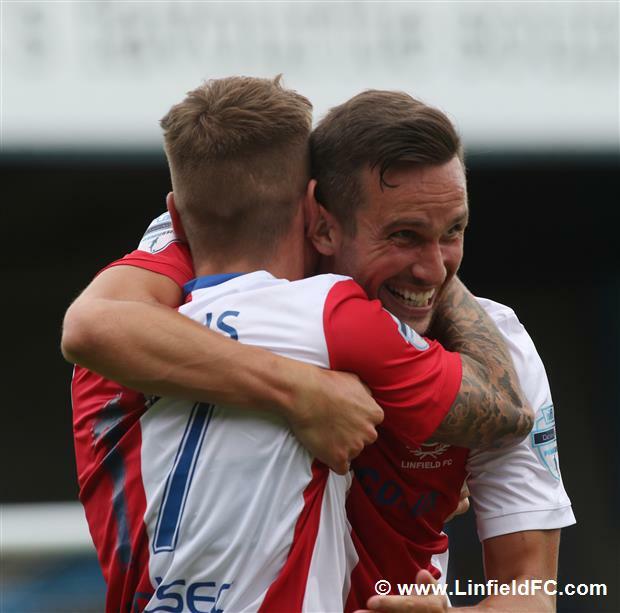 Wideman Josh Daniels was a constant threat for the hosts and he went close on 25 minutes after a mazy run but his low shot was ultimately comfortable for Linfield ‘keeper Roy Carroll. 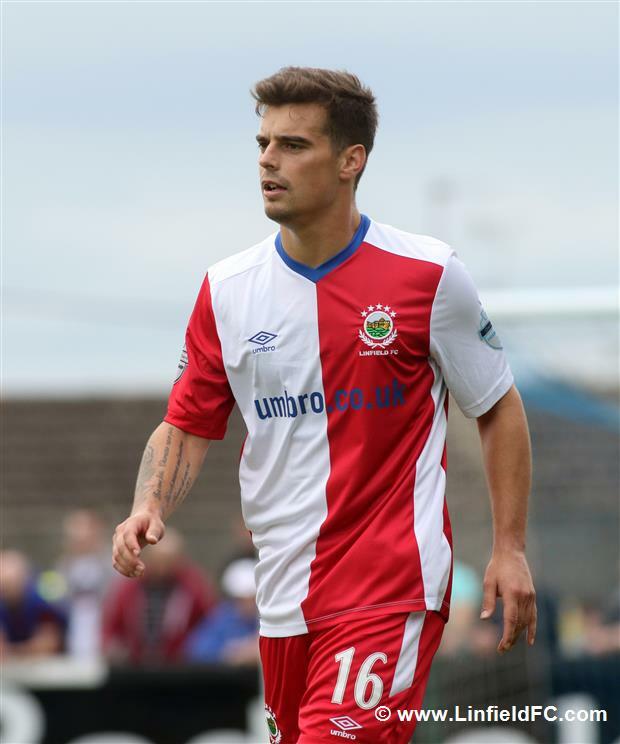 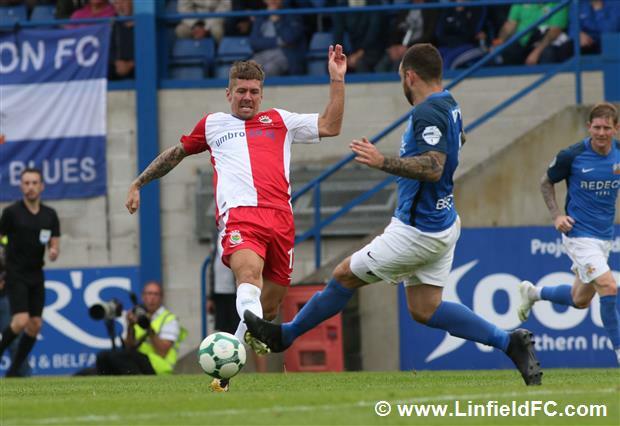 Linfield were denied what they thought was an opener a minute later by the linesman, with Jimmy Callacher’s goal disallowed for offside after he powered home a header from a Niall Quinn free-kick. 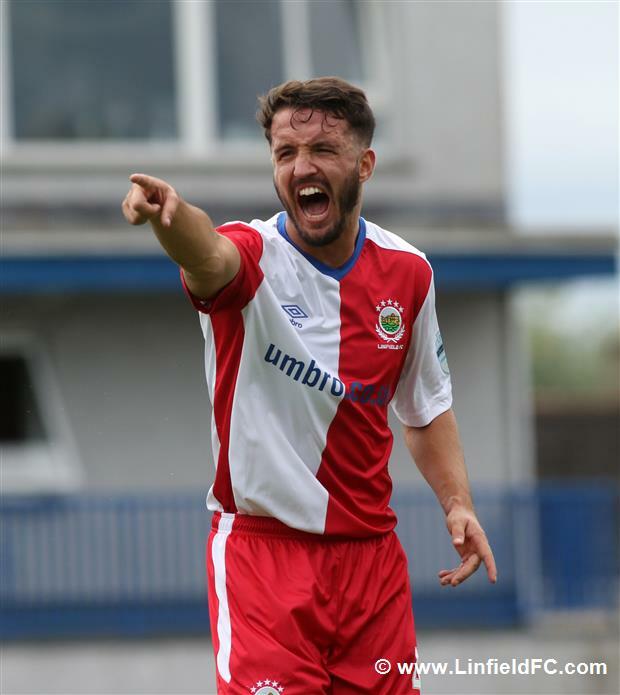 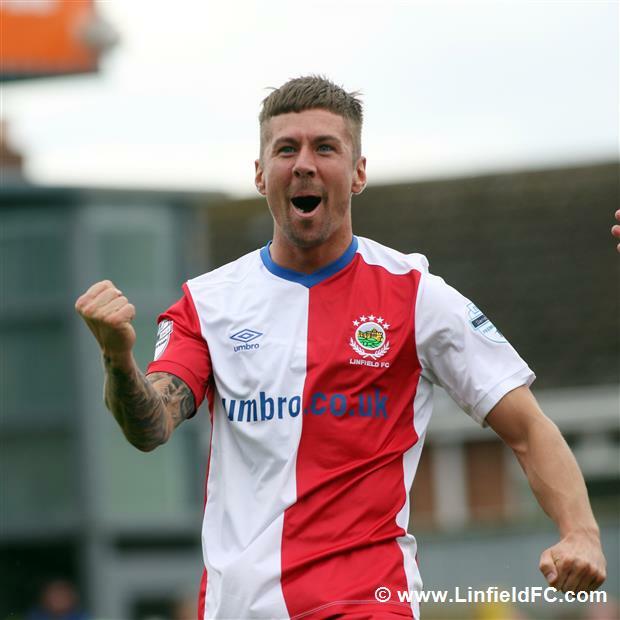 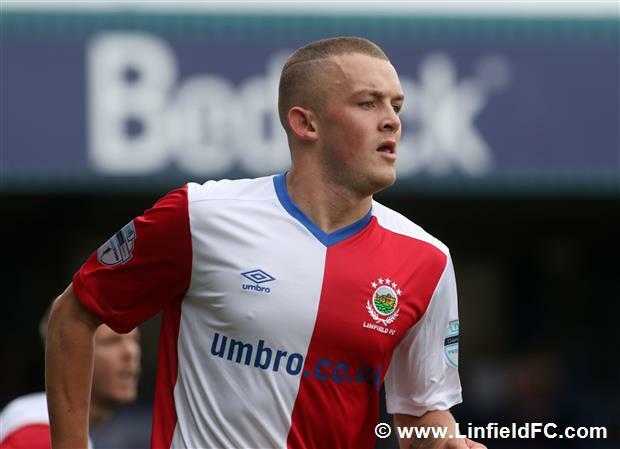 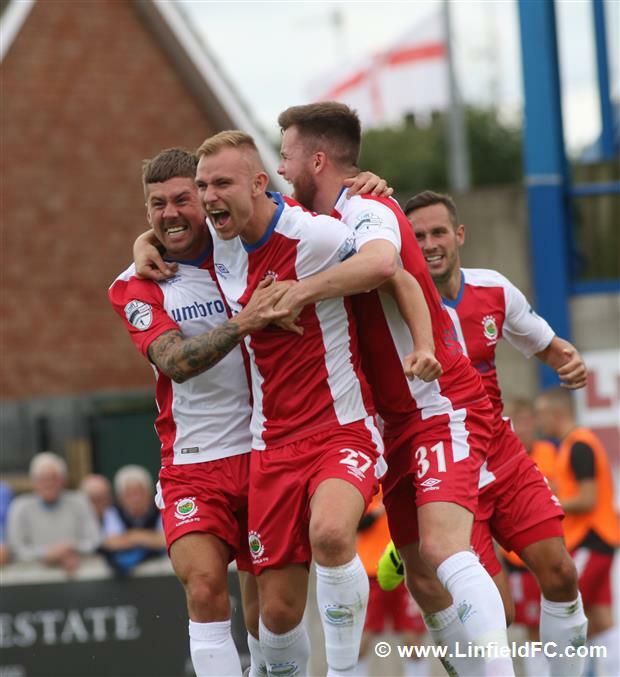 There was no denying Linfield on the half-hour mark, though, as Daniel Kearns netted on his debut against his former club. 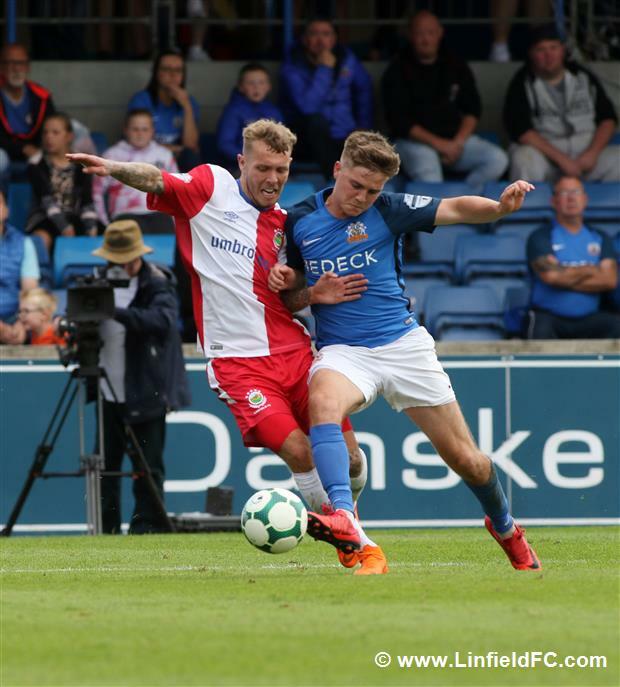 Glenavon failed to clear Kirk Millar’s dangerous free-kick from wide left and despite a few attempts to scramble the ball out, Daniel Kearns was following up to poke home from six yards, giving Linfield the lead. 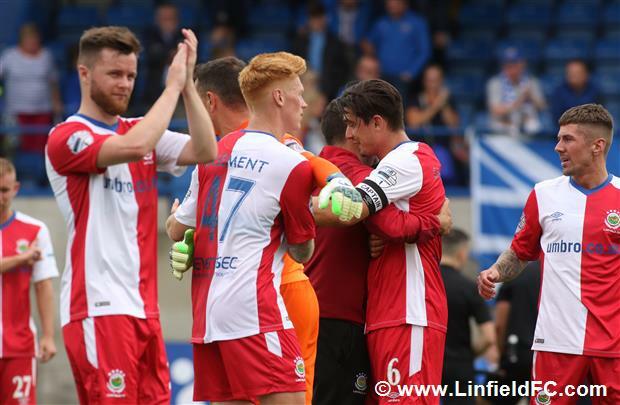 Experienced goalkeeper Roy Carroll showed his international class to keep Linfield ahead on 35 minutes with a great save with his feet to keep out Mark Sykes’ low striker from point-blank range following neat Glenavon build-up. 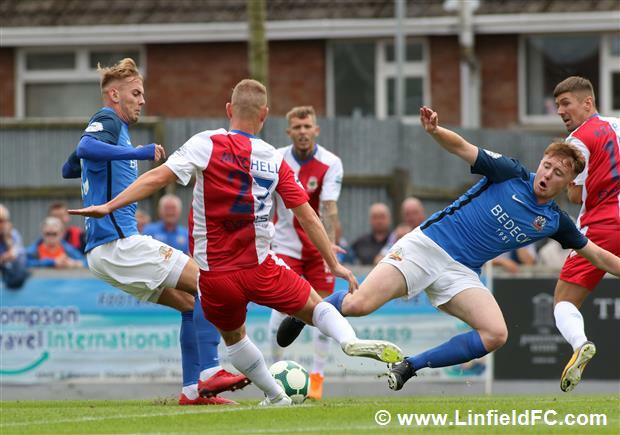 Linfield almost added a second instantly after the break when Jonny Tuffey came out of his goal before misjudging a clearance, allowing Andy Waterworth through on goal but Caolan Marron saved Glenavon’s bacon with a great goal line clearance. 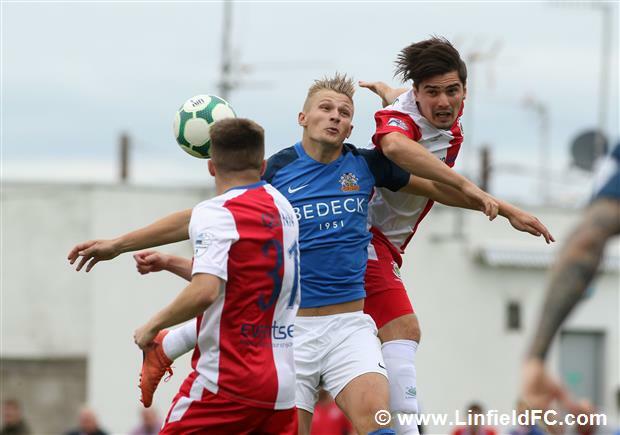 Glenavon should have drawn level on 62 minutes when Mark Sykes got in behind with the goal at his mercy following Gary Muir’s flick-on but Sykes could only find the side netting with his lob. 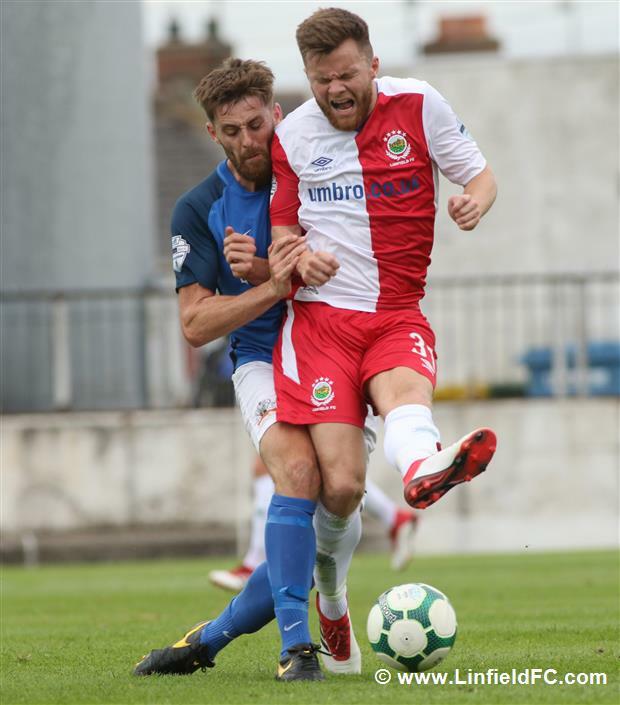 The sparkling midfielder was denied again midway through the second half, this time by the excellent Roy Carroll who showed good athleticism to push away a powerful drive from distance. 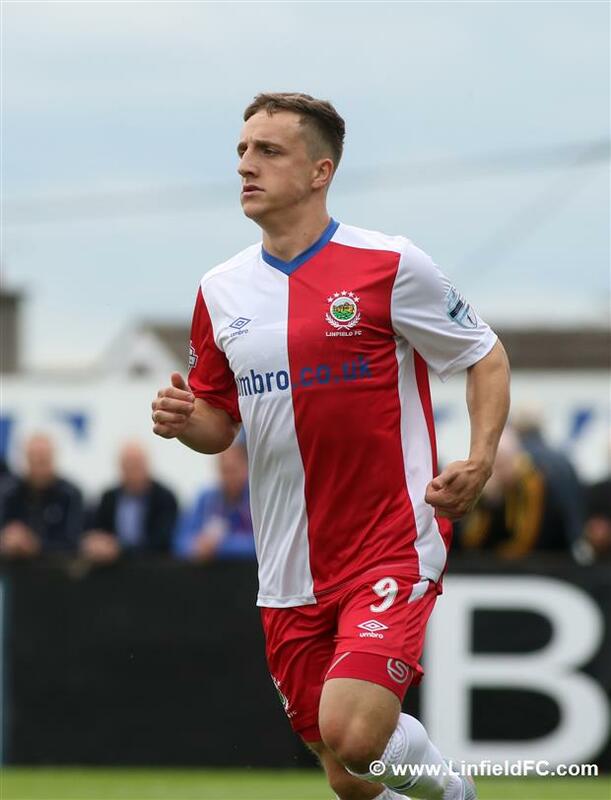 Andrew Doyle also threatened ten minutes from time with a well struck strike from 35 yards but it flew just over Carroll’s crossbar – great effort. 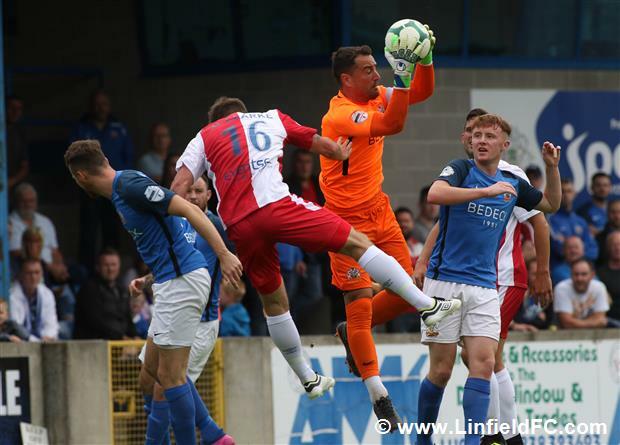 Roy Carroll, again, pulled off a stunning save in the third of five additional minutes, getting down low to stop a good strike from Jordan Jenkins which was undoubtedly heading for the bottom corner. 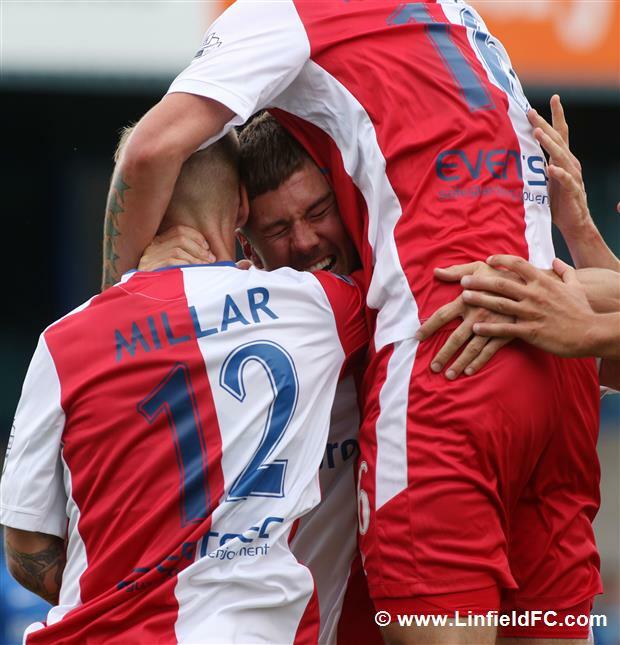 A crucial save. 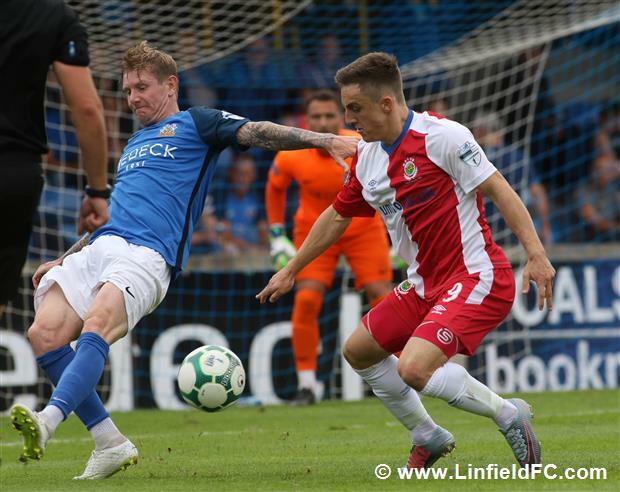 Although Glenavon pushed and pushed, Linfield weathered the storm with guts and determination, helped with great game management to see out the victory. 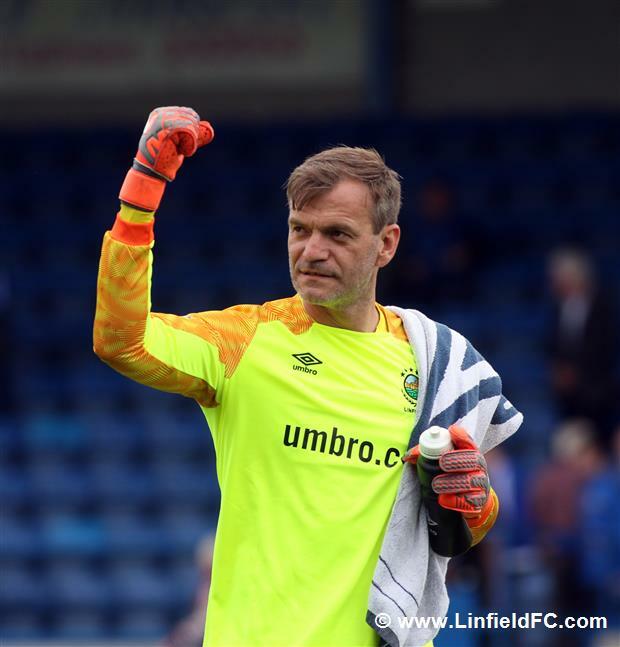 Roy Carroll was immense, the back four defended superbly and put themselves on the line. 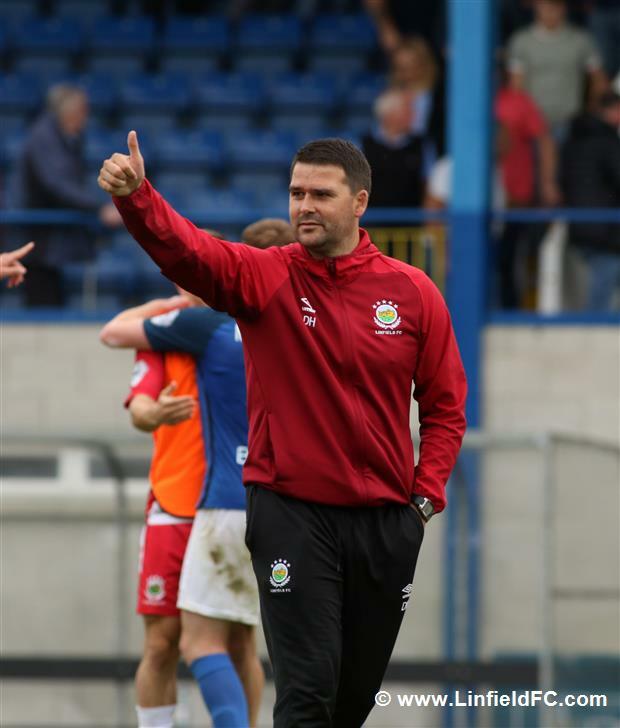 On a day where the Blues were missing a host of experienced players, to come to a tough place like Mourneview Park and start with a victory must leave manager David Healy absolutely thrilled.